Our Fundraiser for DY and Dary Sao has been a tremendous success! We have raised a total of: $2357 in just 3 weeks! A big thank you is owed to all twelve of our private donors, who come from across the USA, as well as the two sponsors, Rotten Tomatoes and the US Wushu Union. This is enough to cover their plane tickets, transportation, hotel and food expenses during the 7th World Wushu Games on November 2-8, 2003 in Macau! Thank you everyone. Your contributions did not go in vain. Without your generousity, Dary and I would have never had the chance to experience this once in a lifetime opportunity. I will try my best at Macau to represent the US Wushu Community. Your support is appreciated and we will not be forgotten. I am very happy to see that people are willing to help each other in time of need. Rotten Tomatoes features links to reviews of current movies from the nations top critics. Includes trailers, previews, and box office reports. 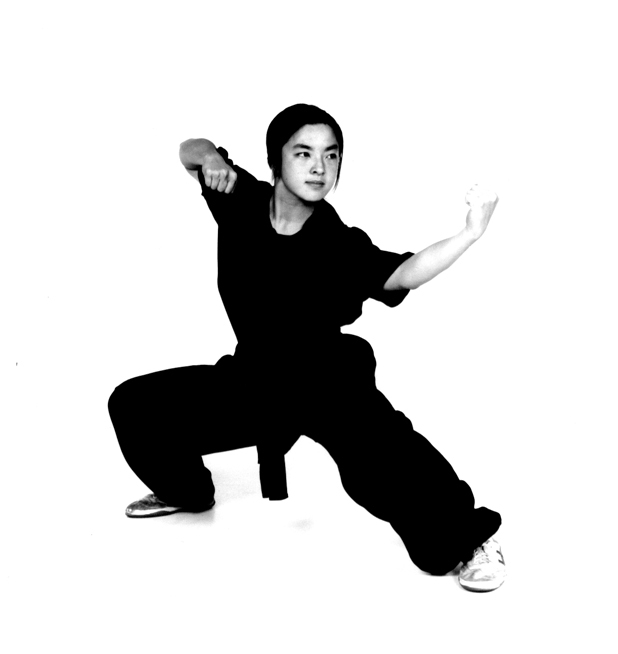 The US Wushu Union is an equal-opportunity, non-discriminatory Union of martial arts practitioners, athletes, coaches, teachers, judges, volunteers, promoters, friends and family, united in the effort to promote and develop Chinese martial arts in the US through competition, education, and certification. D.Y. Sao, 23, was born in the middle of the Khmer Rouge civil war in Cambodia. As refugees, his family escaped the communist regime and fled to America where he was raised in the low-income neighborhoods of Long Beach. He recognized his love for the martial arts at an early age. He recalls when he was 7 years old his father took him to a karate school only to come home heart broken. Martial arts was a luxury that they could not afford. To make up for it, his dad watched the karate class from afar and tried to draw some techniques for DY to learn. His hope to train at a school faded as his childhood years passed, but he remained fascinated with martial arts. 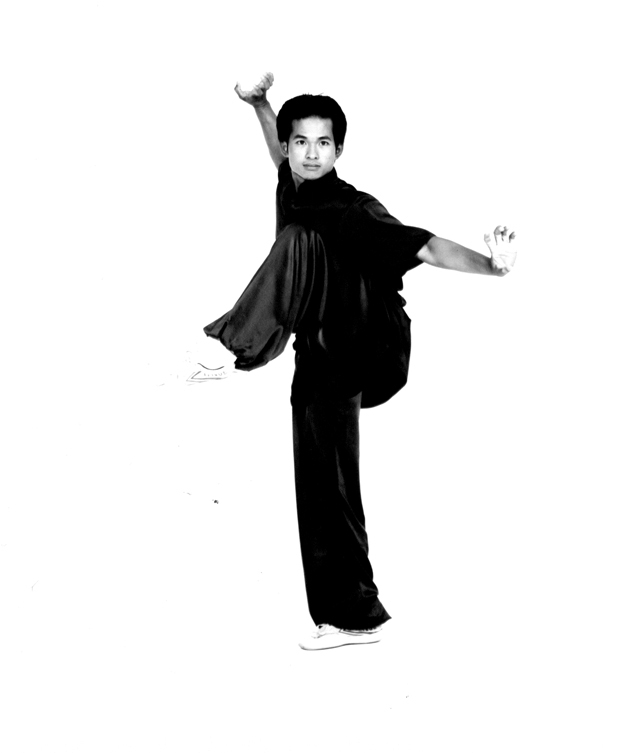 From watching great stars like Donnie Yen and Jet Li, DY and his friends were inspired to imitate and create movements in the martial spirit. They played with the Wushu style not knowing what it really was. 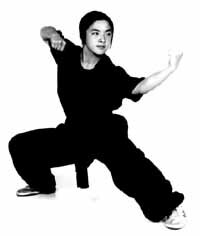 DY was first introduced to Wushu in August of 2000, at age 21. 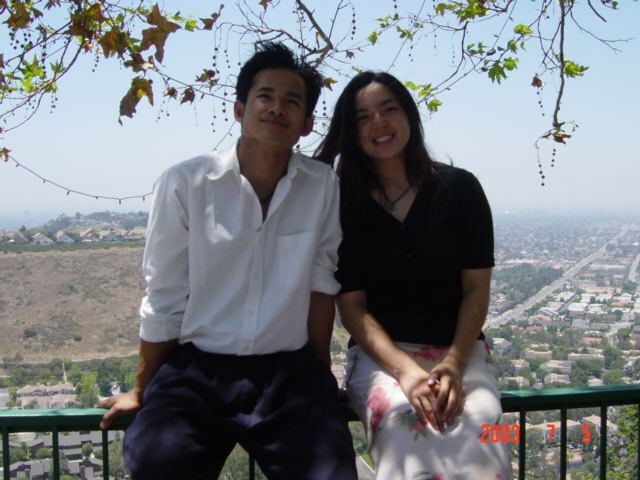 With his younger sister Dary, he joined the Southern California Wushu Academy located in Garden Grove, CA. Sifu Chris Ho took him under his wing despite the fact that financially, DY did not have much, if anything, to offer in return. Sifu Chris Ho's generosity made wushu possible for DY, and in return he focused much effort and dedication to reciprocate Sifu Ho's generosity. Sifu Chris Ho trained DY and Dary since August 2000 to the present. He focused DY's training to Longfist, Broadsword, and Staff. As her family fled the Khmer Rouge civil war, Dary Sao was born in a refugee camp in Manila, Philippines. The youngest of three Sao children, she grew up in Long Beach, California where she currently resides. East Long Beach is an area where poverty is common and fear of crime is part of everyday life. Despite this environment, Dary's family has taught her to appreciate the gift of life, something they most likely would not have if they had not escaped Cambodia. Some say opportunities come and go, but she believes opportunites are a valuable thing. Second chances don't always arise, but she is thankful for God's blessings. Dary is a graduate of Long Beach Polytechnic High School where she was involved in many clubs including environmental interests, cultural groups, and martial arts. She also received many awards for playing on the Poly Varsity Badminton Team. It wasn't until high school that she got the opportunity to truly bond with her only brother, DY. They shared troubles, heartaches, laughter, discovery, and enlightenment. After growing so closely together, she can't imagine life without DY. Because she loves him deeply, he has become one of the anchors of her life. 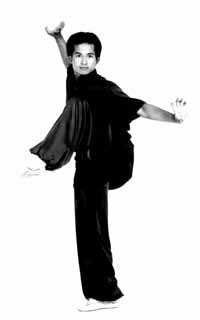 In fact, he is the one that gave her a chance to try wushu which has since become a great passion for her. Now at the age of 22, Dary has graduated from UC Irvine with a Bachelor's in Psychology. Her academic path is aimed towards a Master's Degree which will help her reach her career goal of being a school psychologist. In her perfect world, she would eliminate all responsibilities and devote all her time to doing things she enjoys such as practicing wushu. She suspects she is not the only one that has had that thought cross her mind. Aside from training 6 days a week, she finds time to sing, party, dance, read, babysit, chat online, and eat lots and lots of chocolate. Continuing the success of the 1997 and 1999 fundraiser for US Team members, Beijingwushuteam.com is again helping to raise funds to support members of the 2003 US Wushu Team. We are helping raise funds for DY and Dary Sao in conjunction with the Southern California Wushu Academy to help send them to the 7th World Wushu Games on November 2-8, 2003 in Macau. At a highly contentious team trials with over 80 participants, DY was able to take a place on the A-team and Dary was able to secure a spot on the B-team. Anyone who knows DY or Dary knows they are very deserving and appreciative of any help from our community to attend the World Games. Funds raised will be collected by the Southern California Wushu Academy and used to help pay the expenses of DY and Dary to attend the games (estimated to be at least $2000). DY will be competing and Dary will be an alternate. Your donation will be electronically submitted directly into a Southern California Wushu Academy account set up to collect donations. If you don't have a Paypal account already, you can also sign up by clicking on the donate button. If you have any problems or questions, please email raffi@beijingwushuteam.com. You can mail a personal check or money order, made out to the Southern California Wushu Academy, these checks will be collected and forwarded to SCWA. Please mail raffi@beijingwushuteam.com for more information.